Style Impeccable is hosting an event next Thursday, May 14th. For your chance to shop exclusive Montreal clothing and accessories. 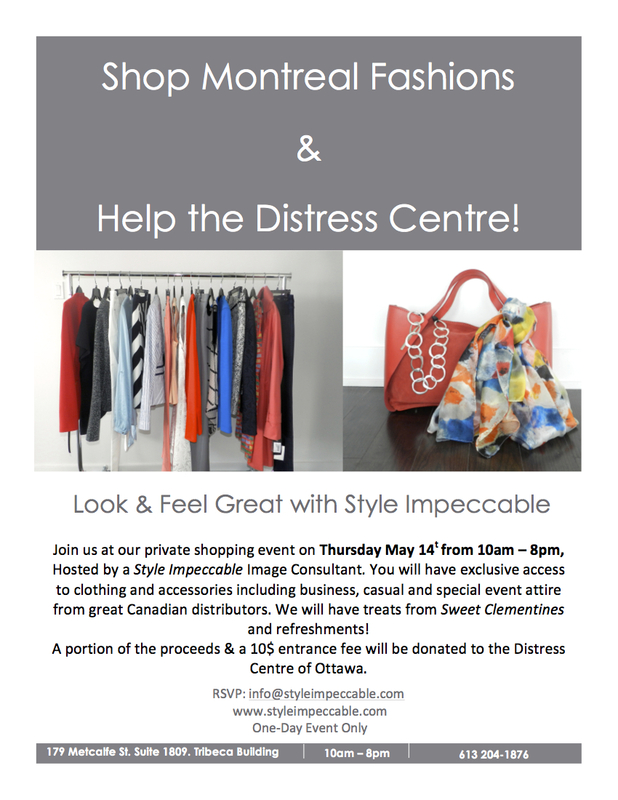 With a portion of the proceeds going to the Distress Centre of Ottawa. Meet a Style Impeccable Image Consultant & shop the day away. If you are in the Ottawa area, please come check it out!